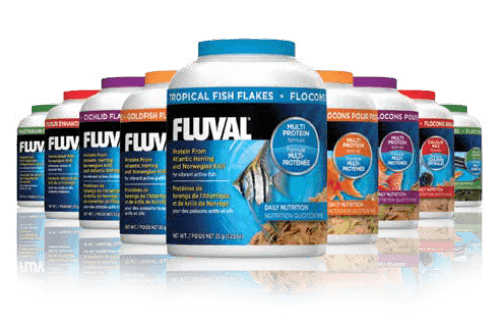 Fluval believes in using only the freshest, purest ingredients from natural sources.  Our nutritional experts travel the globe to establish and maintain relationships with a select group of trustworthy and responsible suppliers who share this vision and allow us to offer consistent, high quality nutrition that far exceeds industry standards. 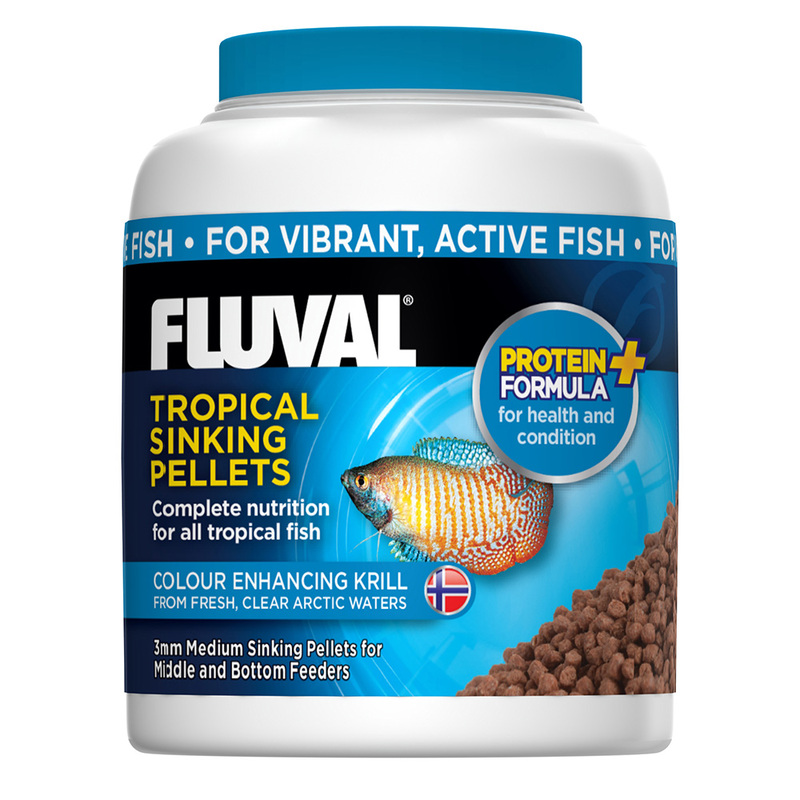 To provide added assurance that your fish receive great, ultra-palatable nourishment, we never add fillers or artificial colorants to our formulas, and always produce food in small batches for superior freshness and quality control. 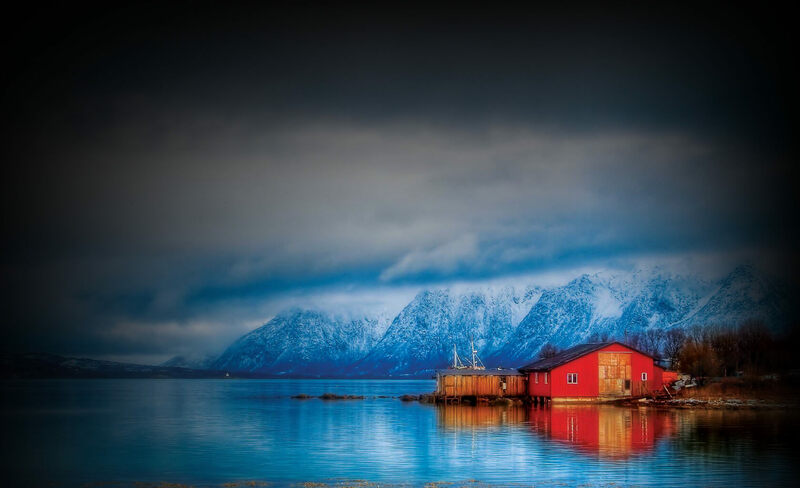 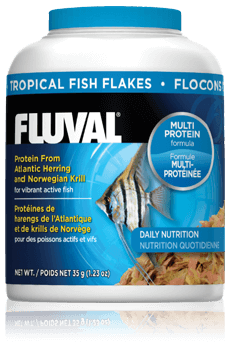 Fluval foods feature superior, wild-caught protein sources such as Herring and Krill, which are harvested from the pristine cold waters of Norway and Iceland. 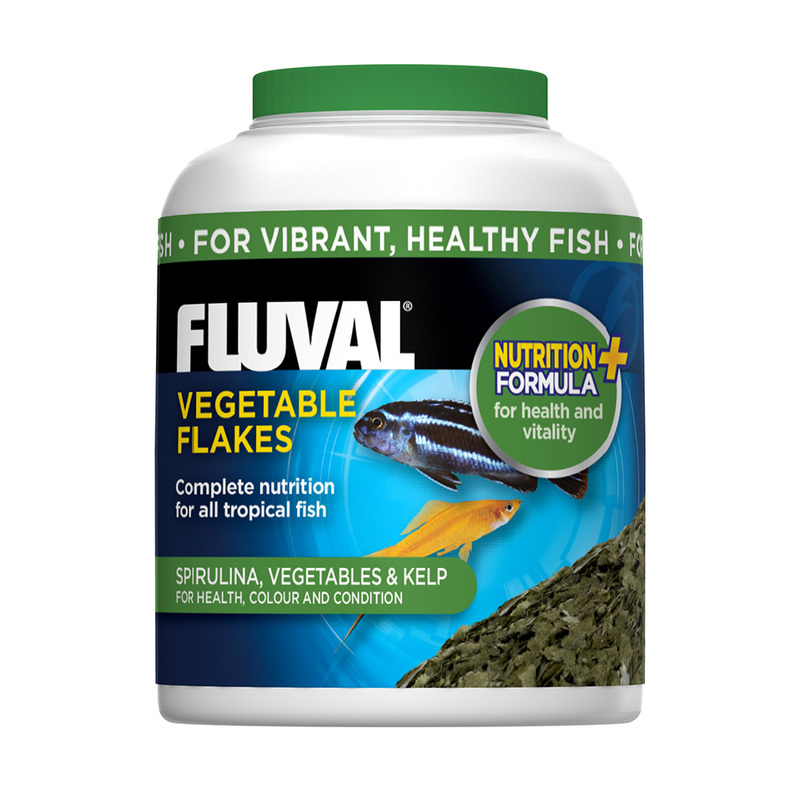 In our Vegetarian formula, we’ve included Spirulina Pacific from Hawaii, which is world-renowned as the best-quality spirulina protein available. First-class proteins such as these not only provide powerful energy and growth potential for your fish, but also help to fortify a greater immune system for increased disease protection. 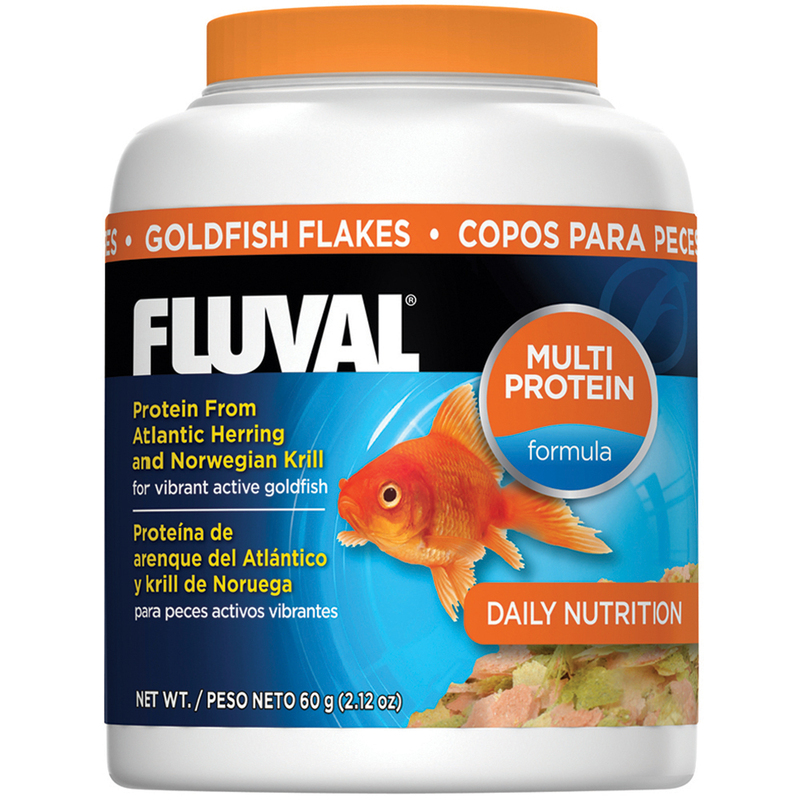 Protein is the most important component of a fish's diet, however, not all proteins are created equal. 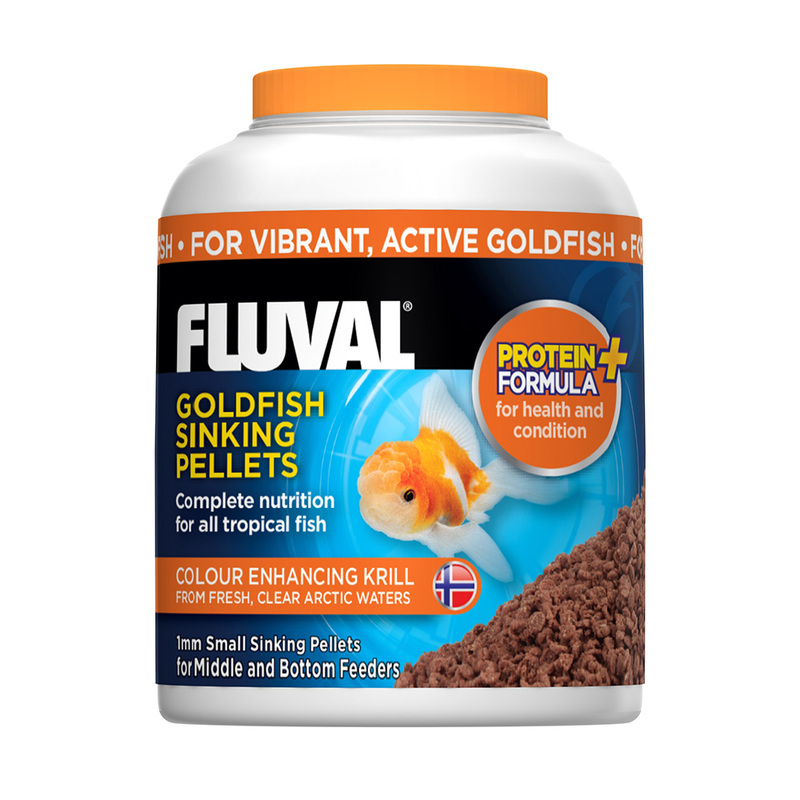 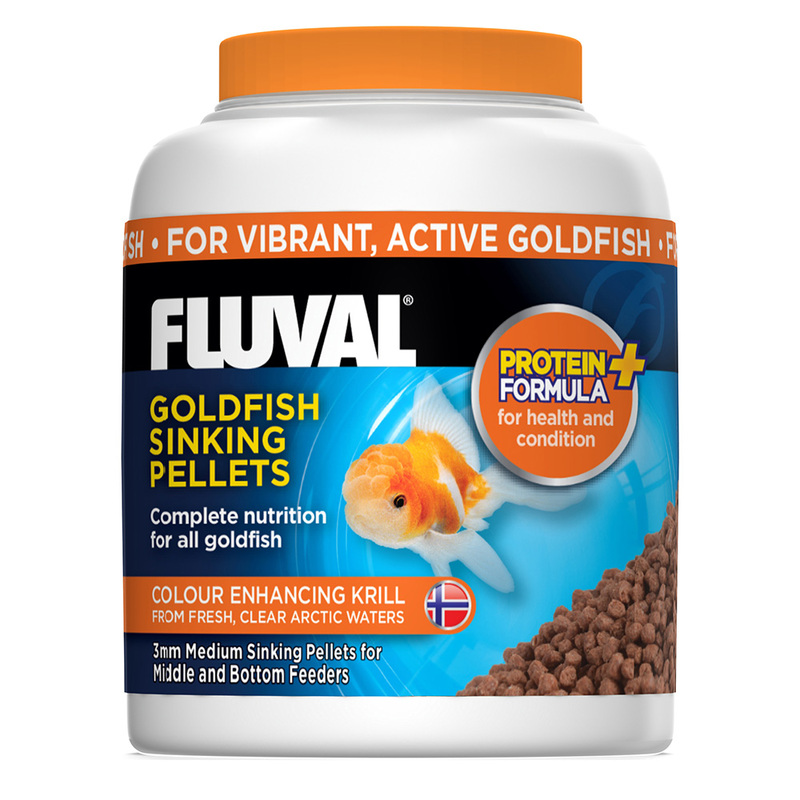 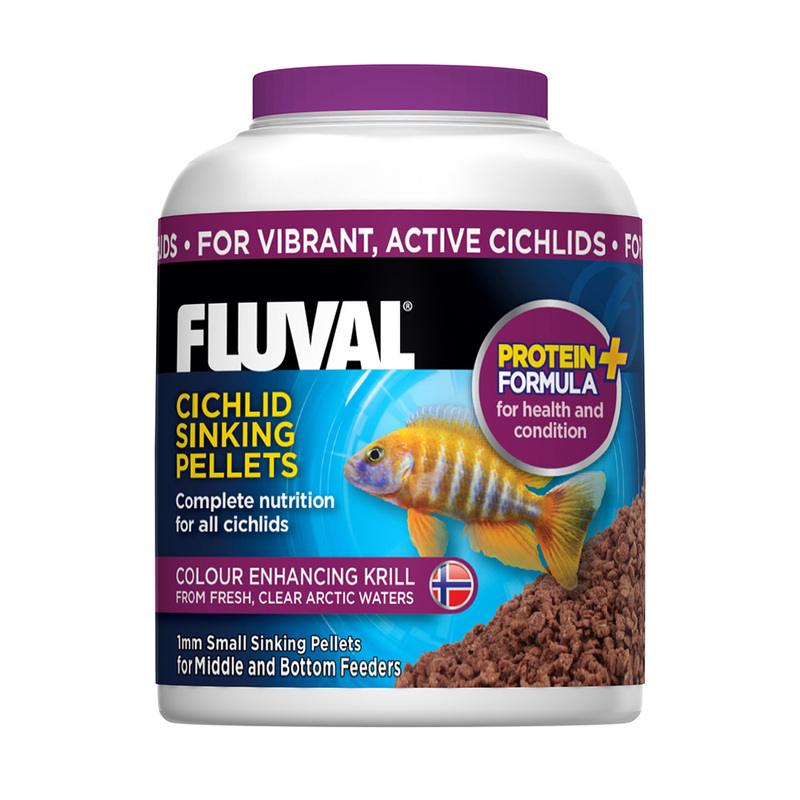 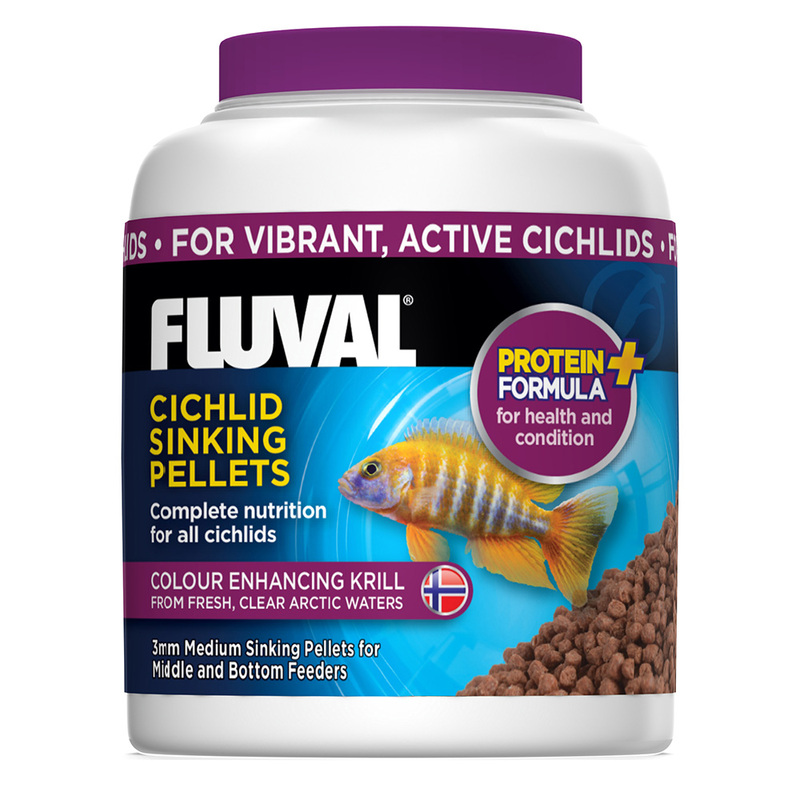 Fluval not only provides premium proteins, but a variety of these sources in order to build a better amino profile, which is a major factor in determining growth and development. 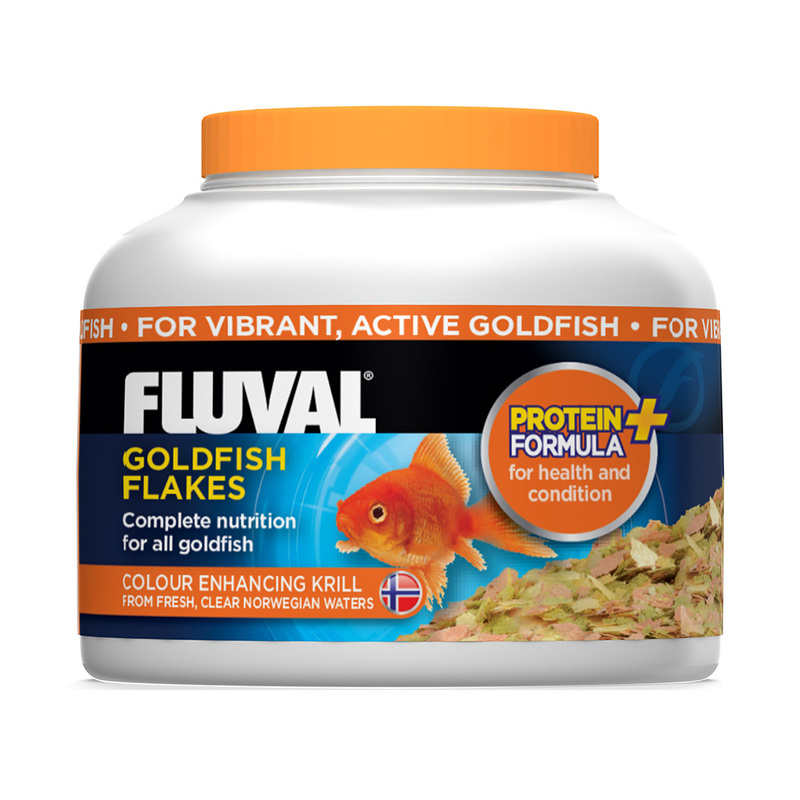 Always read the label to ensure quality proteins are listed within the first few ingredients. 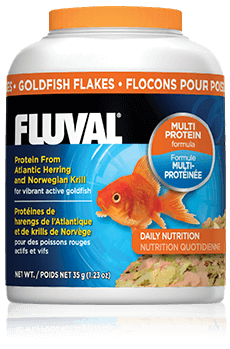 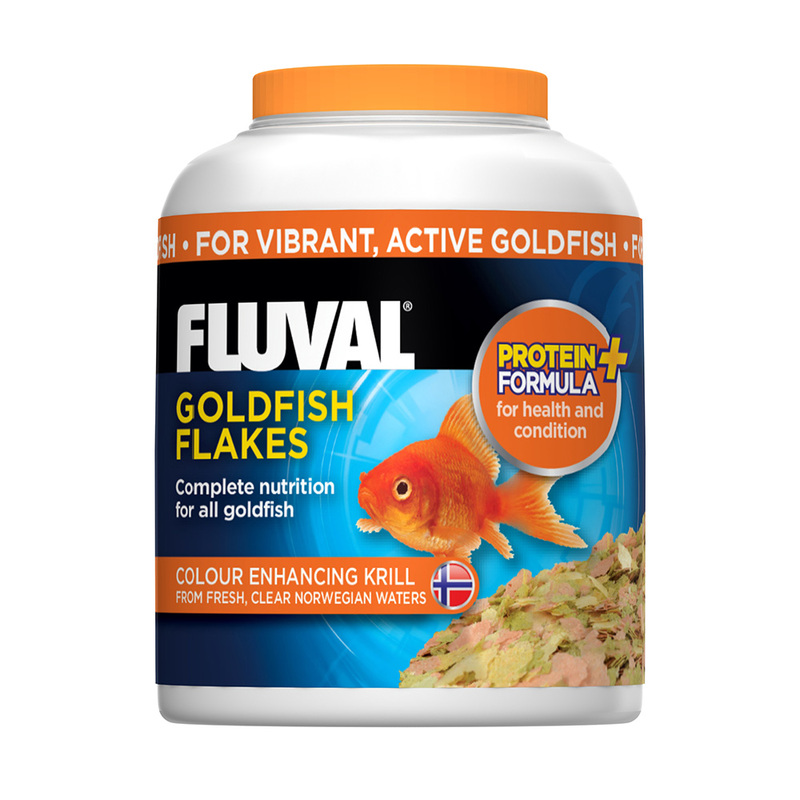 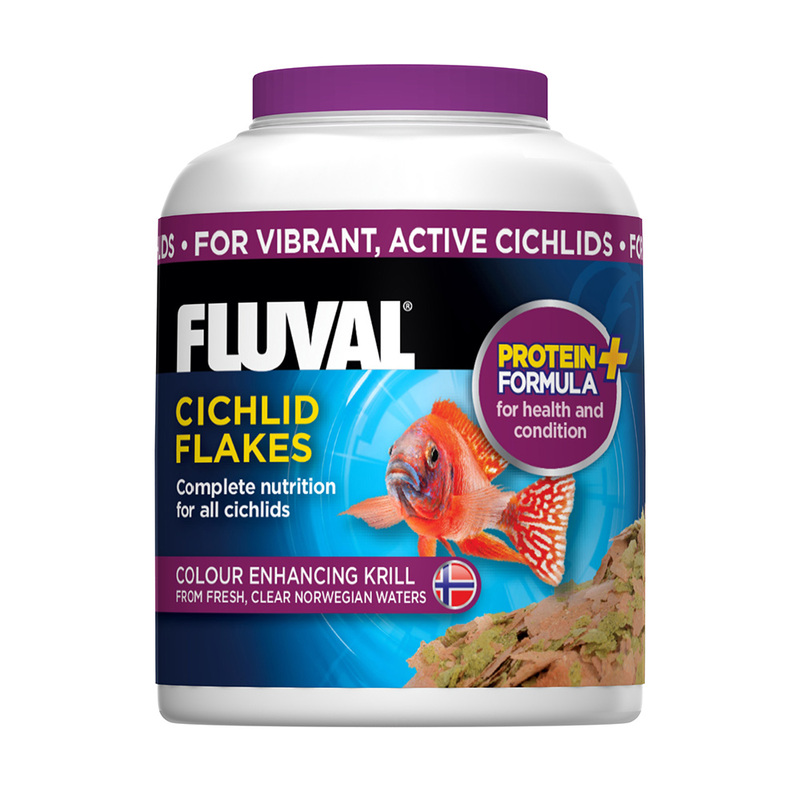 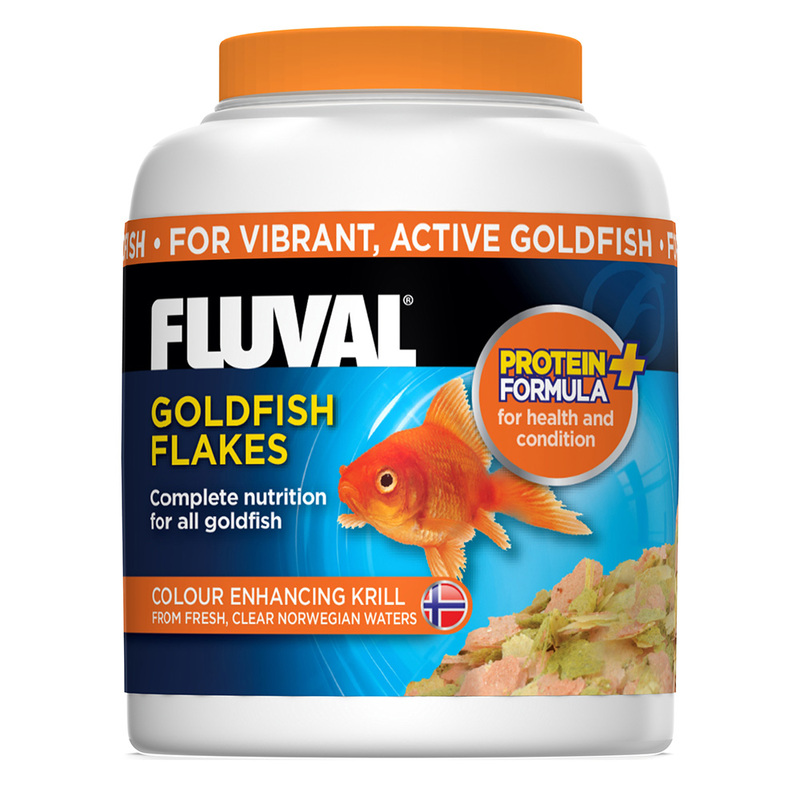 Unlike many other fish foods available on the market today, Fluval foods contain no artificial colorants, which are unnecessary and serve no nutritional value. 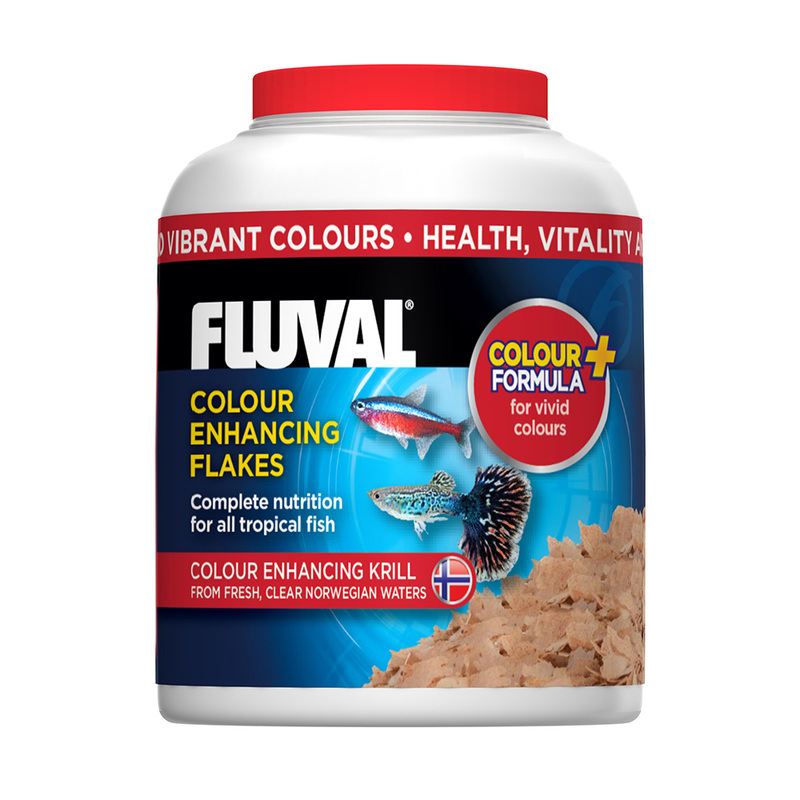 Our formulas are naturally-colored due to the wholesome ingredients they include. 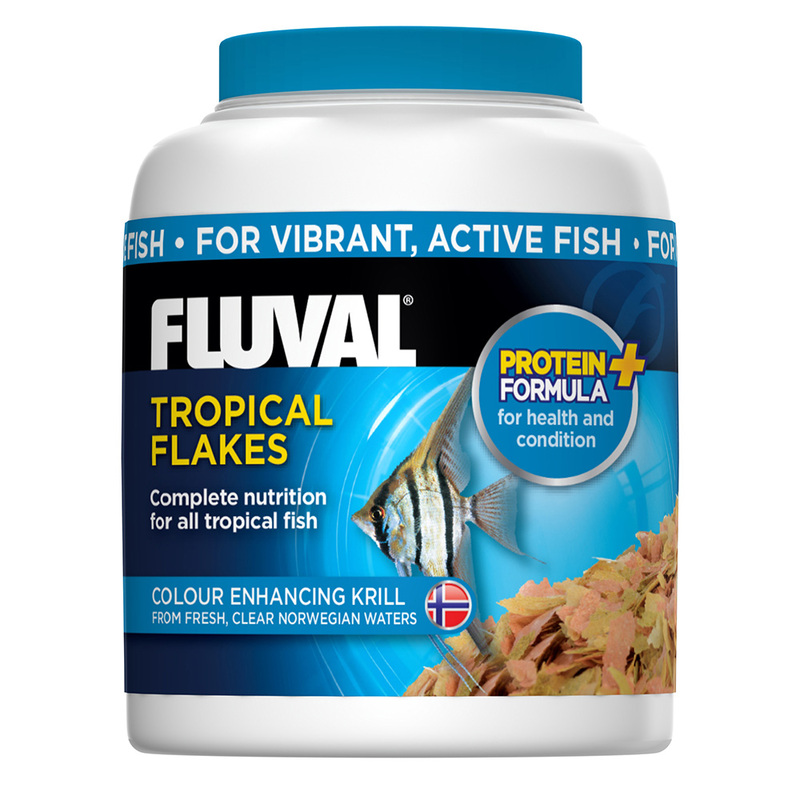 The increased levels of Atlantic Herring and Norwegian Krill featured in our Tropical formula will enhance your fish’s colors and energy level, while also encouraging strong growth. 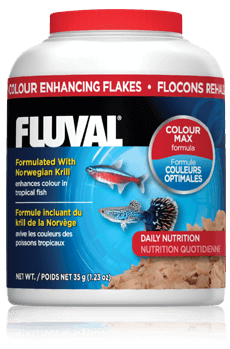 Formulated with optimal levels of proteins required by these and other coldwater species, such as Norwegian Krill, to ensure maximum color enhancement. Enriched with Earthworm meal (high protein and amino acids) to foster strong breeding instincts. 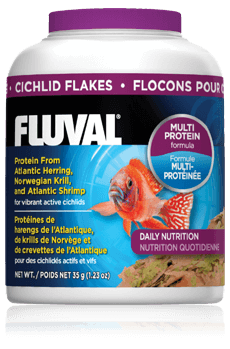 Incorporates a higher percentage of Norwegian Krill to effectively bring out your fish’s natural color, while providing increased palatability. Formulated with Pacifica Spirulina and 4 types of vegetables to support the overall well being of herbivores, carnivores and omnivores. 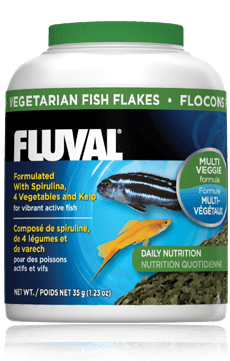 Spirulina is a great source of color-enhancement and micronutrients, which helps keep fish active and vibrant. 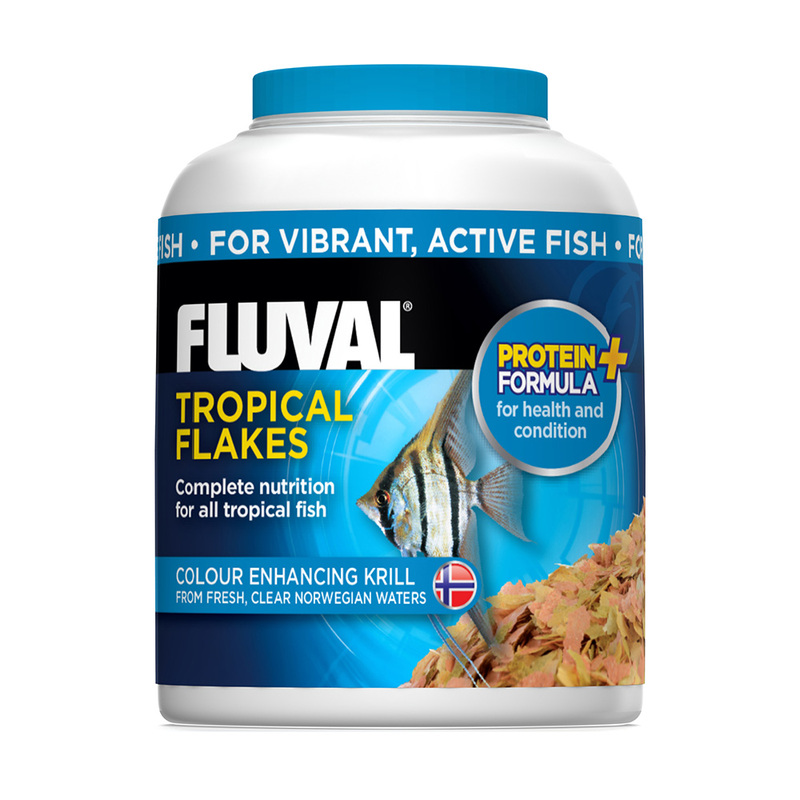 This food is recommended as a supplement for all marine and freshwater tropical fish.